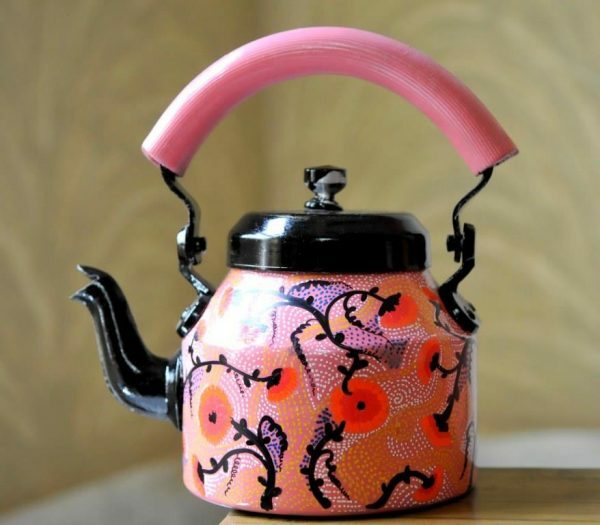 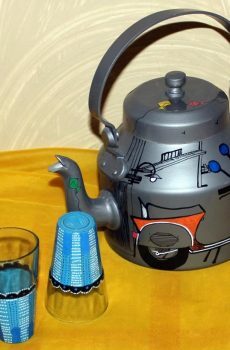 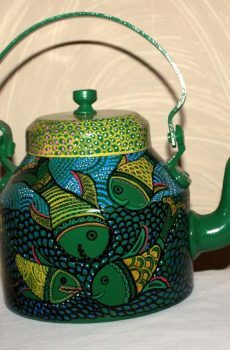 COLOUR: Pink; In this English Pink background colour, Gond, a traditionally tribal art form of the State of Madhya Pradesh (India) is blended with the miniature art work to give floral patterns by using bright pink, yellow, blue and white colour on the kettle. 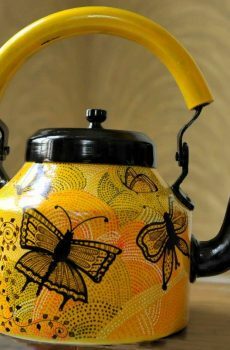 The use of black colour gives depth to the art work. 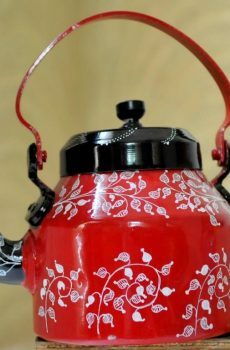 SIZE: Diameter- 5 inches, Height- 6 inches.Details: Material: Aluminum (base), a multitude of surface coating finishes offered to enhance art work.